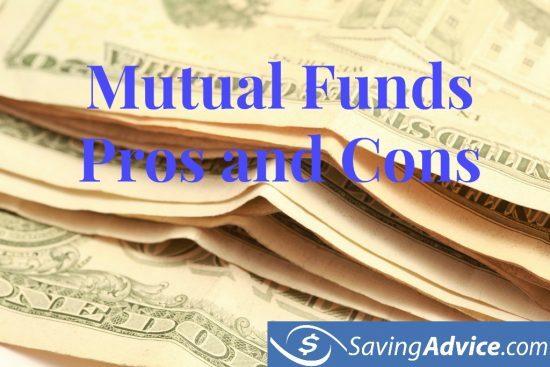 What Are Mutual Funds Pros and Cons? If you’ve been looking into different types of investments you may have stumbled upon mutual funds. Almost everyone has heard of them but do you really know what a mutual fund is and what are the mutual funds pros and cons? Mutual funds are companies that pool money together from various investors to buy and sell different securities and assets. These assets may include (but are not limited to) stocks, bonds, real estate, money markets and metals. When you buy or sell your mutual fund shares you do it straight through the company, also known as the fund family. You can get mutual funds from companies like Fidelity, Vanguard and Schwab. Every investment has a list of pros and cons that comes with it. There is no perfect investment, including mutual funds. Now that we all know what mutual funds are, what are the mutual funds pros and cons? When you buy shares of a mutual fund you get a diversified portfolio of individual investments. These types of portfolios can be difficult for a normal investor to manage. One pro of mutual funds is that you get your diversified portfolio without having to worry about managing it. The company does that for you. Also, you can invest large or small amounts of money in your mutual fund, which makes it a great way to invest without needing a ton of experience. Mutual fund managers are typically professionals with advanced degrees in finance. They often have years or decades of experience in money management and professional licensing. In short, they usually know more about money than you. Mutual funds typically have tens of millions or more dollars and as a result can purchase equity assets at better prices than individual investors can. One great advantage of mutual funds is liquidity. That is, there is a ready market for them. This means that you if you need to sell your shares, you can expect to find a buyer within a short amount of time at the market value of units of the fund. Not everything about mutual funds are great though. Where there are pros there are also cons. 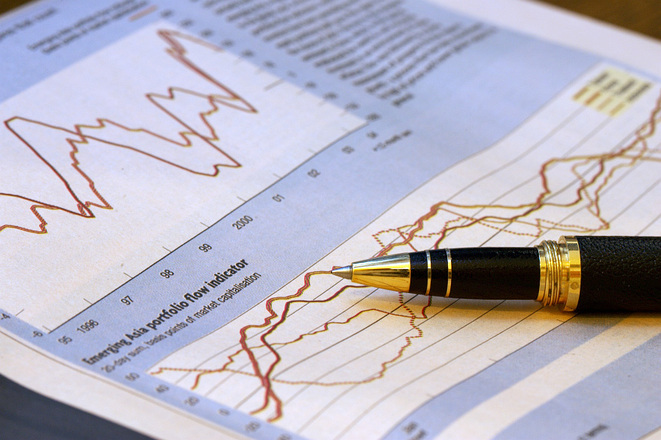 Although they are fairly easy to manage, mutual funds can be expensive to keep up. You also only get share prices once a day. If you invest in the stock market directly you get price updates continuously throughout the day. Capital gains are another potential con of a mutual fund. There is a chance with this type of investment that you could pay taxes on your mutual fund, even if you lost money on it. You have to pay taxes on your mutual fund each year, like you do any stock market investment. However, you have to pay taxes on any capital gains for the year. Another con of a mutual fund is having to pay taxes on your earnings. You can get around paying taxes on your earnings by transferring the cash to a 401K or IRA. These types of retirement accounts can have mutual funds within them but they won’t be taxed. This is because individual investors don’t have control over when the fund generates capital gains – you pretty much need to accept what you get. When you buy a mutual fund, you are essentially hiring a money manager or set of money managers to grow your money. You do have some control of when to buy and sell your shares in the fund, but individual fund unit holders tend to have little say over when stocks or bonds within the fund are bought or sold. You also have next to no control over the amount of discipline the fund management exercises over its decisions. At any time, the fund manager could decide to switch from a growth strategy to a value strategy. This is a pretty significant downside, especially if you have a large position and fund management changes or begins to make poor decisions. Mutual funds buy and sell only once a day. In addition, many varieties of mutual funds carry fees. In fact, the average mutual fund charges between 1.3% and 1.5% These can include back-end loads (typically called deferred sales charges) marketing (12b-1) fees, redemption fees and management fees. You don’t have any of these fees if you directly own stocks, bonds or exchange traded funds. 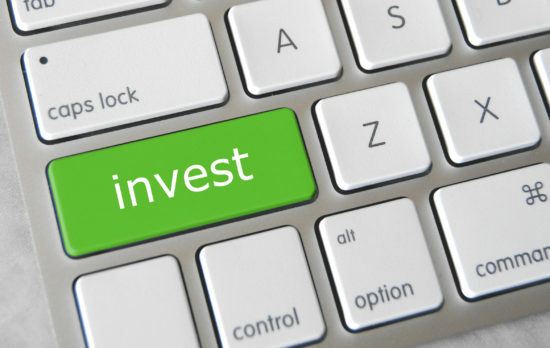 Should Invest in a Mutual Fund? Mutual funds can be a great way to invest. After reviewing the mutual funds pros and cons, you can decide whether you want to buy into a mutual fund or not. As with any investment, you should be sure to do plenty of research before investing your money. What do you think about the mutual funds pros and cons? Would you (or have you) invest in a mutual fund? Bad investments are a quick way to burn all your capital and a common practice even for the bigger players, like international companies. Even Google is not short of such unfortunate events, and they got one ticket to failure when they acquired Motorola. However, there are some tips that give a bad investment away. We’ve gathered 10 such signs that tell the truth, and once you bump into them, it is recommended to create a retreat plan as soon as possible. A bad investment is most importantly a reflection of the indecisive behavior of the investor himself. If he doesn’t know precisely what he is looking for, what demands to impose, what market niche he is proficient at, there are high chances of a failed mission. The executives will take advantage of this weakness, and will only focus on the best aspects of their business. Having a solid financial plan before starting negotiations is the best way to avoid a bad investment in the first place. It is not enough consulting the current stock price of your future investment, but you should carry an in-depth research on their background. Gather all the information you can from their investor relations web pages, the database of the online website Edgar that belongs to the U.S. Securities and Exchange Commission (SEC) or other reliable financial news sources. Then calculate their price-to-earnings ratio based on the last 4 financial quarters. Take as a point of reference the average P/E ratio which is 15. Given the position your prospective investment has in relation to this average number, take a calculated decision of whether to invest your capital or not. Most people would see the high popularity of their future investment as a good sign of a high marketing reach. However, this is far from being a jackpot and rather a good example of a bad investment. A product that is in high demand is likely to have already attained the peak of the successful scale. The market will soon be flooded by similar and even better versions of the product that will quickly saturate every niche domain of the market. The smart move towards a good investment would be tracking down a future popular trend before it becomes wildly known to the public. The moment you realize it is hard to find solid information about the company is the exit point of your financial intentions. An honest company will always adopt a transparent policy when it comes to their business activities. There is no reason to conceal a good investment source, so the lack of information will speak volumes and reveal a bad investment. Even though the company looks promising, there is always a bad sign if the business needs a lot of resources to succeed in its market. Do some math and find out how much financial assets, time and risks the company needs to restore its progress to success. If the results will not allow you to focus on your other business plans, it is no worth taking the investment into consideration. There are high chances that the return of your investment will be lower than your initial investment, and that’s bad for business. Always look at the balance sheet of your spotted company. Compare the balance sheet with their competitors’ and place the company in a clear position. If it stands too far behind from its competition, you have to analyze your actions better. Take a look at their investments and financial decisions. If their low position is related to a few bad moves, there’s no reason to worry too much. As an investor, you will have a word in boarding meetings (depending on how you negotiate the contract), and you can set the course of the business on a better path. However, if all their financial decisions lack professionalism and simple rules of common sense, you are facing a bad investment. Even though you are a dominant figure in one market branch, that doesn’t mean that you should focus on one direction. If the only branch you are active in loses its value overnight, all your investments will collapse one by one. Diversification is a key strategy to overcome the limits imposed by one-sided investments. If you invest in several niches, you will manage the risks of losses better and enjoy higher returns. Speaking of returns, you can decide the next steps of your investment by making some basic equations. Find out how much time a bond needs to reach its maturity. If it will take years to reach this point, this means that your expected high returns will find their way to you in the same space of time. So, this means a bad investment if you are looking for short-term gains. Going for long term relationships is the best solution for any kind of quality revenue sources, be it investing or trading. Learn a few things about it before you start pouring in your hard-earned funds. Any product in the world is created around the ethics of its makers. If all the executives want is a way to fool customers around for quick yet short-sighted revenue, the product will tell you that. If the executives are truly interested in raising the quality of their community through hard work and amazing innovation and serve the greater good, their product will surely be influenced by their ethics. So, you have to spend a great deal of your attention on the people that handle the wellbeing of the product you are interested in. Stay away from managers that treat their customers and colleagues badly or else your business is bound to fail. No investment is a paved road, but it requires a strong commitment from both parties. As an investor, you need to proactively participate in the evolution of your capital and don’t expect the high returns to come by themselves. So, there is no easy investment and the executives that will promise you that are not to be trusted. Choose a new business with a clear action plan and a good team of professional behind it, and work with them side by side to build a better company. And this is where the list of the 10 tips on how to spot a bad investment comes to an end. We’d love to hear your tips that you gathered from your own experience saved you from really bad decisions. So if you have any, do share them with our community in the comments bellow! There are numerous ideas for retirement hobbies but few are as exciting or as potentially rewarding as trading on the stock market. In many ways this is an ideal way of finding something new and fresh to do once you stop working. If you want an enjoyable way to pass the time while looking to make some money then there are plenty of reasons for thinking that this is the ideal new hobby to take up. Even if you have already achieved financial independence, this is a type of investment that offers a lot. After a full working life you will probably value the flexibility that comes with retirement. This is why you will want hobbies that you can carry out anywhere and at any time. When it comes to stock market trading, this is something that you just need a computer or a laptop to do. In fact, you can even do a lot of the work on a smartphone or tablet if that suits you best. Don’t take on a new hobby that ties you to once place and severely limits your freedom. By choosing to trade online you can do it at home, on the beach, or anywhere else where you want to make some deals. It is a fantastic idea to learn as many new skills as possible once you retire. This is one of the best ways of keeping your brain sharp and of feeling good about yourself. If you have never before traded on the stock market then there is a lot for you to learn, which is great. You can enjoy taking on board lots of fresh knowledge by getting a period of trader training arranged to get you going. Of course, this is the sort of hobby in which you are going to need to be constantly updating your knowledge over time. You can’t afford to rest on your laurels when the market is always constantly changing in front of your eyes. The ideal hobby is one that allows you to spend as much time as you want to on it. This is definitely the case with stock market trading, as you can either spend a lot of time looking for new investment opportunities or else take a far less intensive approach. You can expect the amount of time that you invest into this activity to be reflected in how much you earn. However, it is also the case that you can make good investments with little time if you prefer to take things easy and not spend all day on this. Basically, it is the sort of pastime that allows you to put into it exactly the amount of time that you want to. Perhaps you will slip into a sort of routine that sees you check out the market and make decisions at the same time every day or week. Depending upon the type of person you are, you might be happy being patient and waiting for results in the long-term, or you prefer to see results right away. Either way, you can find a way of enjoying the thrill of seeing results through stock market trading. If you want to see the outcome of your investments quickly then you can look for upcoming penny stocks that are expected to take off soon. Otherwise, you could try steadier types of company that should grow little by little over time. Whichever way you do it, you will see the results of your decision making at some point. This is something that could add a real frisson of excitement to your life and keep you feeling good about the joys of retired life. Don’t think that retiring has to mean an end to doing exciting things such as investing money in the stock market. Indeed, when looking at it closely, it becomes clear that this is an activity that is pretty much perfect for when you retire. When it comes to the stock market timing is everything and nothing all at once. No one can predict what the stock market is about to do, whether it will be up or down. If you get started or pull out of the stock market at the wrong time, you can suffer a huge loss. 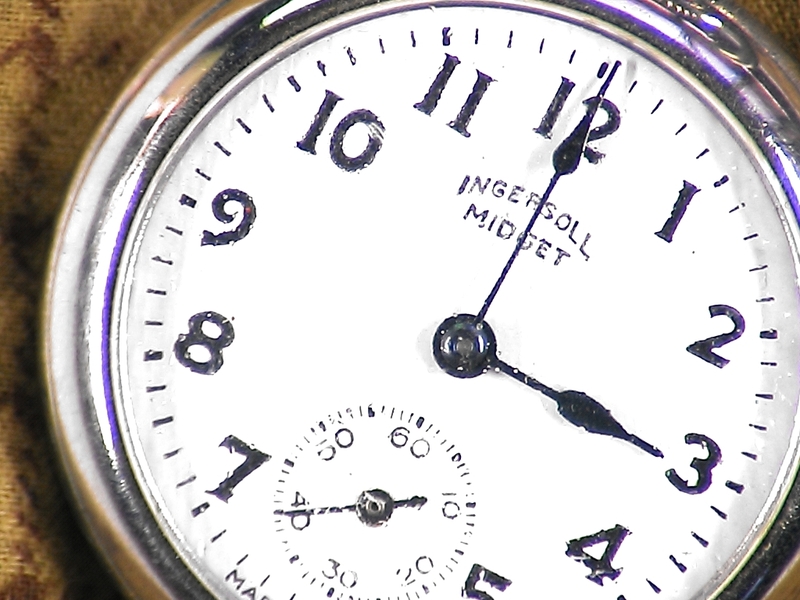 Many investors, especially if they are new to the stock market, worry about their timing. While you can’t predict exactly what the stock is going to do, you can time your investments and try to make the most out of the stock market ups and downs. However, when is it a good time to invest? Is there a perfect time to invest? When you first invest your money, time is always on your side. When investing your money long-term, the compounded returns will add up (depending on what the stock market is doing when you buy your shares). The most important part of timing when investing is don’t be wasteful, of your time that is. Instead of worrying about your first stock purchase, think about how long you are planning to keep your money in the stock market. Each investment you make will have a different degree of risk and return. Because each will have a different level of risk and return, the best-suited time frame for investing will differ between stock purchases. Will you need the money? Before you place your money in the stock market, you need to think about how long you will be able to keep the money in the market. As previously stated, different investments need a different amount of time to show a nice return. If you need the money quickly or will need it before the investment will show a return, you may need to rethink your investment decisions. If you can wait a longer period of time, you will likely see a better return. When you can keep your money in the market for longer, you can afford to invest in stock with higher risk. If you need your money within a few years, you should probably put your money into an individual bond or a certificate of deposit (CD). The business changed. If the fundamentals of the business change, the stock is likely to drop soon. If people are no longer able to understand or use the business in the way that they always have, the stock is likely to change. It is also likely to drop if the company’s basic products are being replaced by something newer and better elsewhere. The stock is becoming rocky. If you investment in a company seems to be becoming rocky, sell. This means that if the slightest bad news sends the stock prices tumbling, you should sell. If the risk of the investment outweighs the tax hit you’d take by cashing out, you should sell. Keeping those two points in mind, many of the other stock markets scares can be ignored. Be sure to review your investments, keep an eye on what you’ve placed your money in and let it be. Remember, time is on your side and you can always decide when you want to remove your cash from the market. When it comes to investing, everyone has an opinion. People can take guesses as to what stock is going to take off, which company will outperform the others and where you should place your money to do well. It can be confusing. While there is no surefire way to approach the stock market, there are a few questions you should be asking yourself before you invest money anywhere. What investments will be good for your personal goals? Which investments will show a nice return? I found an interesting article on Mom and Dad Money about what you should be looking for when making investments. If you ask yourself the following questions before placing your money in the stock market, they may help you make better decisions when it comes to choosing what to invest in. A stock market decision could sound like the most attractive option, but if you don’t understand the decision you are making, it won’t make a difference. If the person explaining your stock options to you can’t explain it in a way that you can understand, don’t invest. Understanding what your investment is and what it may do is key to sticking it out through good and bad, which is the hardest part of investing. Without a good understanding of your investment, you may be more likely to bail at the first sign of trouble (and that could cost you a pretty penny). Does it fit your plan? Set a personal goal for your investments. Once you’ve put your personal investment plan into action, you will know what you should invest in. Bloggers at Mom and Dad Money, LLC compare this decision to food. “Imagine making a meal by throwing all your favorite foods into one big pot…. adding them together would probably be pretty gross.” The same goes for investing. You don’t throw together a bunch of great investments, you pick investments that will work well together. For instance, if you have some higher-returning investments in your account, they are more likely to have down moments. Your more conservative investments in your portfolio will even out the down time. This will provide a lower return in the long run, but it will provide balance (if that is what you are seeking). Just make sure your investments fit your overall plan. Investing takes time, do you have it? Warren Buffett once said, “If you aren’t willing to own a stock for 10 years, don’t even think about owning it for 10 minutes.” With the mass amount of information about the stock market available, it is easy to want to make short-term investments. Investors who succeed in the stock market are investors that put their money into a company or stock that they want to hold forever. Making an investment is a big decision. You will want to do plenty of research prior to making a decision. What is the company’s track record? What kind of data do they have to back up their findings? If you talk to someone and they simply talk about projections and back-tested returns, run! These are predictions and guesses as to how the company or stock will do in the future, they are not for-sure. Invest in something that has a good track record and not just predictions. There is an inherent risk when investing. For instance, if you place your money with one company, the company could go bankrupt and you could lose every cent you invested. You can place your money in a diversified portfolio, but you will likely have a smaller return. However, when it comes to deciding which company or stock to place your money, always choose the option with the smaller downside. Again, this will all depend on your personal investment goals. If you are looking at investing, you are likely planning ahead for something. However, you have to think ahead in terms of the stock market. Ask yourself if the investment will be easy to get out of if you need to pull your money out. The easier it is to get out of, the less overall risk there is. Also, question whether or not you need to open the new investment. Is your stock portfolio fine the way it is, considering your personal goals? Bottom line when it comes to investing is to do your homework and make sure your personal needs are being met. Happy investing! The popular phrases “time is money” and “it’s not what you earn, it’s what you save” offer valid points and is sound advice. However, if you don’t put in the time, you may not make the money, and if you aren’t earning enough, it can be really hard to save. What’s worse is putting in the time and still barely breaking even. Are we hitting the nail on the head? Is this a constant battle for you? Start at the bank account. Evaluate your monthly spending. It’s amazing when you take a deeper look at your monthly expenses how much you’ll find you spend on miscellaneous things like coffee or dining out. It may not seem like it, but these are both luxuries. Place a limit on how much you spend on these activities each month. If you make a goal to not spend more than $30 on dining out a month, but you instead spend $50, reduce your budget for the following month. Conversely, if you don’t spend your dining out budget for a couple months, take that amount to splurge on yourself one month. 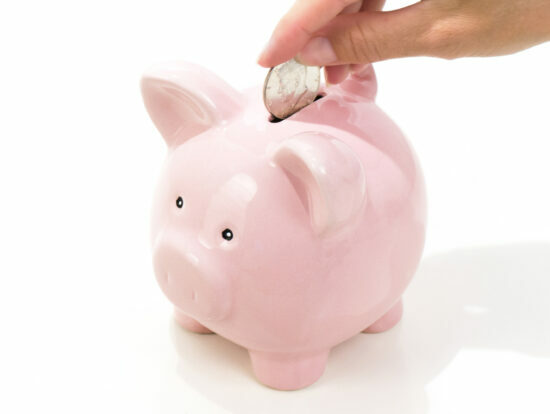 You could also use what you don’t spend on your budget to increase your savings account. Skip the extreme couponing. After all, as we reminded you above, time is money, and this type of discount searching can absorb a lot of time in order to reap a benefit. Instead, use that time for other activities such as spending time with family (priceless) or researching smarter ways to invest your money (also priceless with the potential to gain). This is not to say utilizing a coupon or two will not help decrease costs; just know there are other ways to save while grocery shopping. Adjust your spending choices. What financial goals do you have for yourself this year? If the answer is none, it may be time to make some for yourself. Examples include wanting to save more money, finding a profitable investment, earn more money, etc. Whatever the goal, be as specific as possible. A rule of thumb is to save 20% of your income. So, if you bring in $1,800 in a month, $360 should go into savings. If this seems impossible (and by following rule number one, you may find that it’s actually quite feasible) shoot for 10% and increase by 1% each month. Regardless, at the beginning of every month, fund your reserve accounts after paying your bills so that you can have a little more financial freedom in the following weeks. Pay off your debt. Investing does not have to be in stock; you can also put money toward your debt, and in fact, you should work on paying off your debt first. If financial freedom is your ultimate goal, monetary obligations will always hold you back. Obviously, the more you earn, the more you can close out these bills. Earning more, however, is the ultimate challenge. But, in today’s world, it is easier now more than ever to make a side income, whether it’s through Uber or Lyft, selling on Ebay or, yes, even blogging, the possibilities are seemingly endless. As you earn more, though, save more so that you can reach those economic ambitions much sooner. Choose investments that will pay you back. 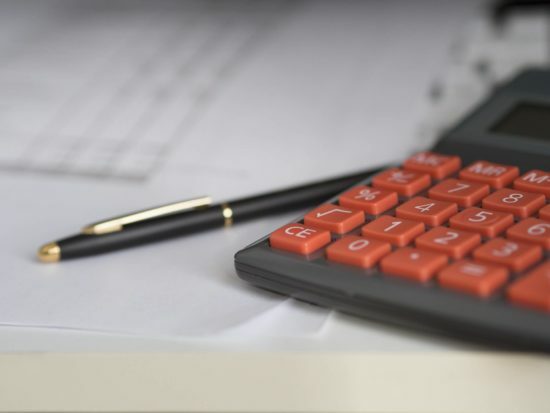 If you’re contemplating purchasing rental property as a means to make a secondary profit, know the costs such as insurance, maintenance and taxes prior to going in. Also know that your time may be an investment as well. Increasing the rent will not solve your problems; increasing your knowledge will. The ultimate goal is to improve your net worth, and through these efforts, you can accomplish this. Decreasing your debt, starting a retirement account and feeding your savings account are all important to do. You will need to work smarter, hustle and research; but with consistency, you can pull yourself out of financial worry faster than expected.